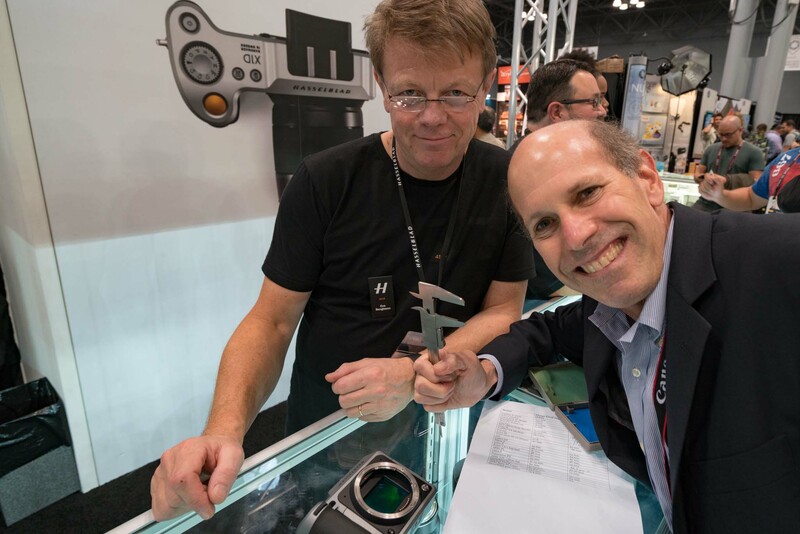 Ove Bengtsson, Product Manager at Hasselblad, said it’s not everyday that someone shows up at a trade show booth with micrometer in hand. Photo: Mark Forman. At PhotoPlus Expo yesterday, cameras with missing specs were measured and the Lens Mount FFD and ID Chart has been updated. Fantastic! I like that you are on a mission to find out the next standard. Thumps up!